Robinson Cano hit the Derby-winning home run and soon praised his pitcher, according to Newsday. "The big thing is not my swing," Cano told ESPN, according to Newsday. "It's the gentleman that was throwing." The gentleman throwing, serving up the Home Run Derby pitches that helped Cano win the 2011 contest in Phoenix: His father, Jose Cano. Jose Cano serves as his son's batting practice pitcher in the off-season. He also served a decade in the pros - including six games in the majors - himself, as a pitcher. Jose Cano's career began in 1980, signed by the Yankees as an amateur free agent out of his native Dominican Republic. He played his first season in the rookie Gulf Coast League, getting three games there. He then didn't return until 1983, playing at single-A Anderson in the Braves system. Cano went 5-8 over 20 outings, with a 4.11 ERA. He then moved to single-A Durham for 1984, improving to a 3.10 ERA. After another two seasons away, he made it back in 1987 with the Astros, the team that brought him to the majors. He played 1987 at single-A Osceola and he came into his own. He went 15-3 as a starter, posting a 1.94 ERA. 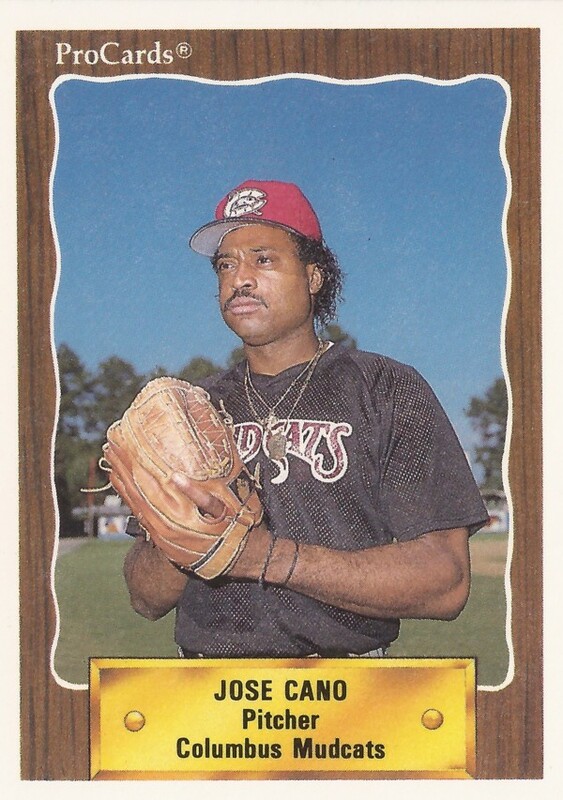 He then jumped to AAA Tucson for 1988, then played 1989 between AA Columbus, Tucson - and Houston. Cano made the Astros Aug. 28, 1989. He set down 10 batters in a row at one point in his debut, but eventually gave up five runs. Cano gave up 13 earned overall in 23 innings of major league work, picking up one win and one loss. 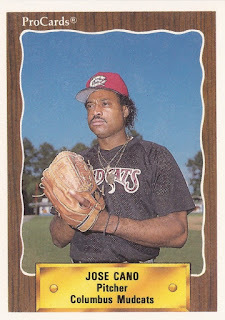 He then finished out his career in 1990, playing between Columbus and Tucson. By the time Cano's career ended though, his son's career was still a few years away. Robinson Cano signed his own professional contract in 2001 with the Yankees at the age of 18. He's since gone on to a 12-season major league career, making seven All-Star teams, including 2016. After the 2011 Derby win, Cano explained his approach in helping his son win. "He asked me to throw it inside and low," Jose Cano said, according to The New York Daily News. "I said, 'That's the way I throw you the whole year, so that's going to be easy for me.'"